Do you have the original iBridge? If so, you need to update. 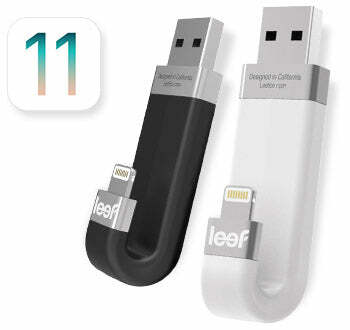 Our other Leef Apple products that do not need ﬁrmware updates. The ﬁrware updater works on computers and will not work on mobile devices. will not work on a mobile device. It is only 4 steps. You will need your iBridge, a computer running MacOS, an internet connection, and about 3 mins. 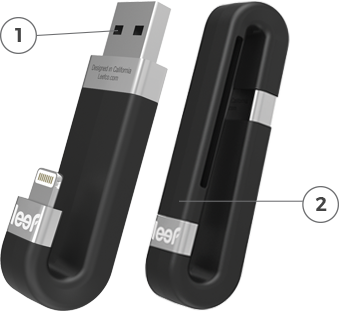 NOTE: The ﬁrware update will not make any changes to your content on Leef iBridge. As is the case with any software update, we still recommend that you back up your content before performing the update to ensure all your content is safe. The Firmware Updater will run on Windows and Mac OS Computers. The Updater will take around 3 minutes to run from start to finish.